Share whatever interesting secret to being a great mum. Submit via online or post, with attached receipt or bar code. The most creative secret will win. 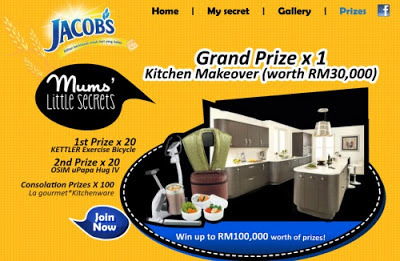 Visit Jacob's Malaysia Facebook fan page for more details.